Imports of tractors to Ukraine last year increased almost fivefold compared to 2017, to 113,200 units, of which 2,200 are used machinery, the Ukrainian Agribusiness Club (UAC) has said. According to the association, in monetary terms, tractors were imported for $431 million, which is 12.6% less than in 2017. “In quantitative terms, the total import of tractors grew in 2015-2016 and in 2018, while in 2017 there was a significant subsidence. Most of this equipment was imported last year,” the association noted. 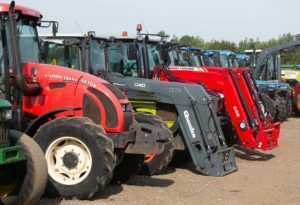 According to the UAC, if in quantitative terms imports of tractors were growing from year to year, then in value terms it reached its peak value in 2017, and in 2018 the figure was falling. “With regard to used tractors, in general, in the four years under consideration, their share in the total number of imported machinery was about 4%. This is significantly less compared to harvesters, where this segment occupied half of all deliveries from abroad,” the association noted. 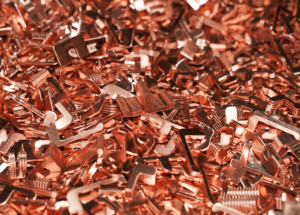 Ukrainian enterprises increased imports of copper and copper products in terms of money by 19.7% in January-March 2019 compared with January-March 2018, to $27.419 million. Exports of copper and copper products decreased 57.4% over the year to $19.412 million, according to customs statistics released by the State Fiscal Service of Ukraine. In March, copper and copper products were imported to the tune of $11.753 million, and copper exports were estimated at $7.739 million. In addition, Ukraine in January-March 2019 increased imports of nickel and products made of it by 3.4%, to $24.133 million (imports in March were estimated at $8.338 million), while imports of aluminum and products made of it fell by 4.4%, to $78.605 million ($27.829 million). Imports of, lead and products made of it rose by 11.8%, to $3.193 million ($0.918 million) and imports of tin and products made of it decreased 38%, to $0.809 ($0.45 million). Imports of zinc and zinc goods decreased 43.1%, to $12.237 million ($4.986 million). Exports of aluminum and products made of it decreased 33.5% in January-March 2019, to $23.888 million ($8.836 million in March alone), while shipments of lead abroad decreased 49.8%, to $5.285 million ($2.302 million). Exports of nickel fell by 70.8%, to $0.671 million ($0.265 million in March). Zinc exports in January-March 2019 amounted to $0.197 million (some $0.111 million in March) compared to $0.042 million in January-March 2018. Exports of tin and products made of it in January-March 2019 were estimated at $0.02 million (some $0.005 million in March) compared to $0.257 million in January-March 2018. Ukraine in January-March 2019 exported 1,650 tonnes of cheese, which was 14% less that in January-March 2018. 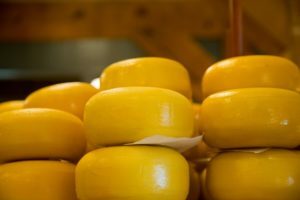 According to customs statistics released by Ukraine’s State Fiscal Service (SFS), cheese exports in monetary terms amounted to $5.8 million, which was 19% lower than the figure for the first three months of 2018. At the same time, imports of cheese in January-March 2019 totaled 4,000 tonnes, which was 43% more than in January-March last year. The imports in monetary terms increased 31%, to $18.9 million. Exports of Ukrainian creamery butter in January-March 2019 decreased 35%, to 5,900 tonnes. The exports in monetary terms decreased 38%, to $23.8 million. Imports of creamery butter, according to the SFS, decreased by 33%, to 211 tonnes ($1.44 million). In January-March 2019, exports of condensed milk and cream decreased by 23%, to 5,900 tonnes. Ukraine supplied condensed milk and cream to the tune of $11.3million, which was 13.6% less than in January-March 2018. Their imports decreased 10.6%, to 468 tonnes ($970,000). 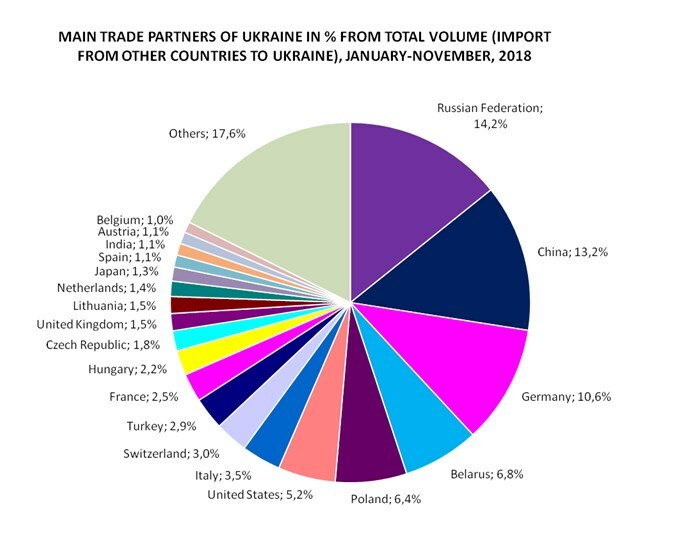 As was reported, Ukraine in 2018 imported 13,720 tonnes of cheese (37.1% up from 2017) and exported 8,340 tonnes of cheese (7.8% down from 2017). Last year, exports of butter remained at the level of 2017, imports increased slightly, to 1,100 tonnes. Exports of condensed milk and cream totaled 35,550 tonnes (24.1% down from 2017), imports were 2,360 tonnes (38.6% up from 2017). Coke plants of Ukraine imported 1.87 million tonnes of coking coal and coal concentrate for coking in January and February 2019, which is 3% more than in January and February 2018. According to the Ukrmetallurgprom association, in February 2019, 870,000 tonnes was imported (86% compared with January 2019). Ukrainian coal in the amount of 450,000 was shipped to the plants in January-February 2019, which is 10% less on January-February 2018. In February, 200 tonnes were delivered (86% compared with January). In January-February 2019, Ukrainian coke plants received 2.32 million tonnes of coking coal, which is 2% more compared with January-February 2018. The share of imported coal was 80.6%. 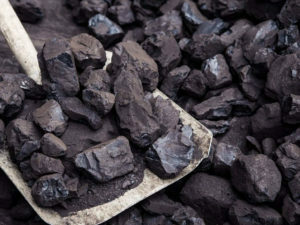 In February 2019, 1.07 million tonnes of coking coal was shipped (85% compared with January 2019). Steel enterprises in Ukraine received 1.54 million tonnes of coke in January-February 2019 (91% compared with January-February 2018), including 1.43 million tonnes of Ukrainian coke and 0.11 million imported coke. The share of imported coke of total supplies was 7.2%. In February 2019, steel enterprises received 727,000 tonnes of coke (89% compared with January), including 677,000 tonnes of Ukrainian coke and 50,000 tonnes of imported coke. 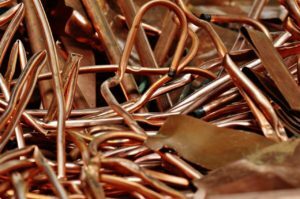 Ukrainian enterprises increased imports of copper and copper products in terms of money by 51.8% in January 2019 compared with January 2018, to $8.22 million. Exports of copper and copper products decreased 57.5% over the year to $6.278 million, according to customs statistics released by the State Fiscal Service of Ukraine. In December, copper and copper products were imported to the tune of $10,327 million, and copper exports were estimated at $7.130 million. In addition, Ukraine in January 2019 boosted imports of nickel and products made of it by 55.9%, to $9.235 million (imports in December were estimated at $4.566 million), while imports of aluminum and products made of it fell by 2.8%, to $23.378 million ($33.745 million). Imports of, lead and products made of it rose by 5.1-fold, to $1.074 million ($1.195 million) and imports of zinc and zinc goods decreased 67.8%, to $112,000 ($378,000). At the same time, imports of tin and products made of it decreased 46.3%, to $3.674 million ($4.302 million). Exports of aluminum and products made of it decreased 34.1% in January 2019, to $6.623 million ($7.902 million in December alone), while shipments of lead abroad decreased 62.4%, to $1.395 million ($1.773 million). Exports of nickel fell by 4.4%, to $175,000 ($541,000 in December). Zinc exports in January 2019 amounted to $39,000 (some $28,000 in December 2018) compared to $7,000 in January 2018. Exports of tin and products made of it in January 2019 were estimated at $3,000 (some $1,000 in December) compared to no exports in January 2018.